Craig & Jane Hamilton-Parker are a married couple who have been proponents of mediumship throughout their lives. They have been the subject of numerous television programs and have often confounded the sceptics by the accurate and verifiable facts given though spirit communications. Craig & Jane Hamilton-Parker are psychic mediums who astonish people with the accuracy of their clairvoyance. Their cheerful, spiritual work proves to many that there really is life-after-death. Craig and Jane now travel the world giving compassionate guidance to the bereaved, offering remedies to the perplexed and feeding the destitute. They set a high standard of ethics and offer a spiritual philosophy that is based on common sense, love and personal example. Hailed as the world’s most accurate mediumistic couple, husband and wife team Craig & Jane Hamilton-Parker have taken part in hundreds television programs all over the world as well as having their own series in the UK and USA. Craig recently featured as the astrologer in the movie Cristiano Ronaldo: World at His Feet. Their international TV series include: ‘Our Psychic Family’, ‘The Spirit of Diana’ and ‘Nightmares Decoded’. Craig was also featured on Channel 4’s ‘Enemies of Reason’ in which he debated the topic of mediumship with the skeptical biologist Richard Dawkins. 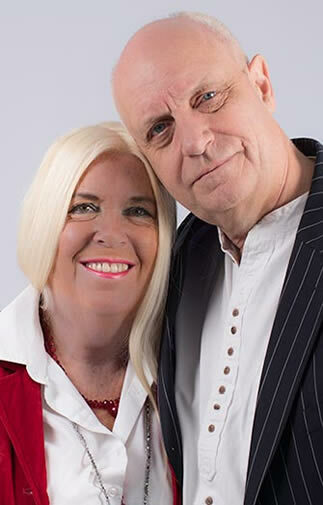 Craig & Jane hail from the UK but also have an international following and practice their mediumship and present their teachings in theatres and venues around the world. They are sought after by the rich and famous. Craig & Jane also teach and write about the philosophy implied by spirit communication. Craig has written over 20 books on spiritual subjects including books about mediumship, psychic powers, dreams, yoga and the Naadi Oracles of India. As well as demonstrating mediumship on public platforms and in private they also teach and inspire people who are searching for the meaning and purpose of their life. Craig & Jane work to enhance the quality of peoples life's, using their unique gifts of mediumship, compassion and enlightenment, bringing hope, encouragement and laughter and giving people the tools to enable them to move forward positively to become better individuals.